Is it time to take your healings to the next level? Have you done everything you can think of and you are still dragging yourself along in the same old routine unable to make fresh changes happen in your life? Or, are you thinking about making shifts to all of the problem areas in your life that are causing you stress, but you just can’t seem to make it happen? Relationship pain, problems at work, health worries, and never having enough money are the most common stressors that keep us awake at night or literally make us sick. Study after study has proven the relationship between stress and bad health, physical and emotional, and yet we still seem to stay addicted to those parts of our lives that continue to cause us grief. We do the same things every day over and over just because it is familiar. And yet, somehow we keep expecting different results. And that, as we all know, is the definition of insanity. We just never seem to know how to free ourselves from the chain of difficult emotions that consistently control our daily lives. And did you know that the more stressed you get the more your brain resists change? Who needs that? So, in order to heal our lives we must remove ourselves from our daily routines and from the same faces and the same places, and the same thoughts. If we are to change the direction of our lives we need to do so in a new and unfamiliar environment surrounded by a high vibe. This is a place where we can think more clearly, feel what is or isn’t working, and shift the old patterns that are no longer who we want to be. And, no longer serve us. From here you can leave your past behind to create your new and authentic self. An Intuitive Healing Destination Retreat is the perfect choice for you to infuse yourself into that personal journey where your new reality awaits you. A place where you can learn all about yourself, explore your inner truth, and reconnect with your own spiritual powers. Prepare yourself to repeatedly journey through the invisible and light-filled world where you will strengthen your connection with Source and reveal the love and wisdom of your Higher Self. True healings are only possible when we enter into the quantum or unified field where we can raise our consciousness to a very high vibration. It is here that we are all one divine light and deeply connected with ourselves, others, nature, the universe, and the loving force that heals all. You will travel the universe to retrieve your broken soul pieces, shift your psyche, and then move into a new state of being. From here you will finally realize that you are pure potential with a future full of unlimited possibilities that are no longer out of reach. You will experience four full days of deeply spiritual insights through profound energy healing techniques, rituals, music, power animals, animal communications, and amazing ceremonies that open the portals to the other worlds. Dance to the musical and drumming rhythms of your own heart and soul. And keep your new “vibe” running high long after you get home. Create a more joyful future for yourself in a beautiful setting carefully chosen by the Spiritual Healing Goddesses and Spirits (usually near water) who will prepare us for an unforgettable experience within a high vibrational healing vortex. If you are ready to create a future for yourself that is fresher, happier, and more creative there is no better place for you than the Intuitive Healing Destination Retreats. 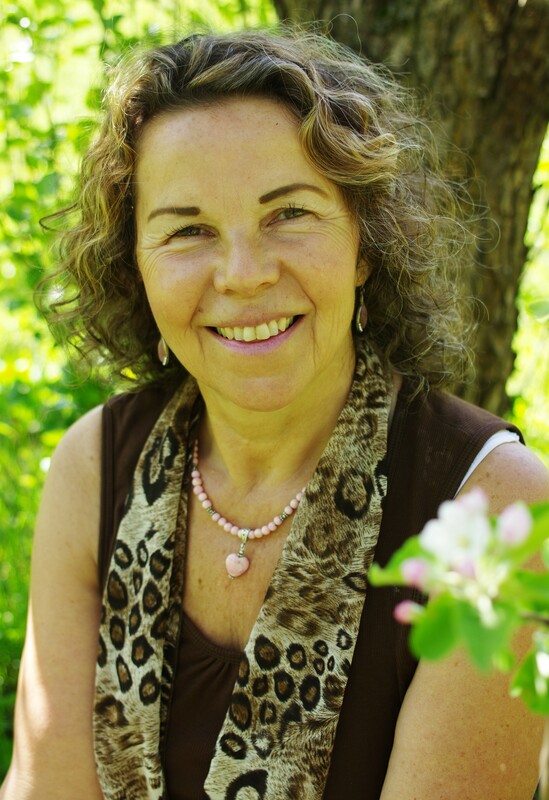 Marijke is a gifted and highly respected healer with over 25 years of experience in her own private natural health clinics serving both people and animals. She has taught hundreds of workshops and seminars, and loves to facilitate transformational healing retreats in unique locations. Healing is her calling and she has the distinct ability to see and feel beyond the physical and into the invisible worlds. She currently resides on her beautiful ranch in the Okanagan surrounded by her family of four horses who are energy healers and spiritual warriors themselves. They are inspired by Marijke’s work as a healer, connecting with higher levels of consciousness, and drumming under the full moon. Marijke’s mission is to help make the world a more compassionate, kind, and loving place for all sentient beings. For more information on upcoming retreats, please contact us.